March 13, 2013. Welcome to this week&apos;s newsletter. Hardly a day goes by that we don&apos;t get asked a question about retirement by somebody - with one that is the overwhelming favorite. Here in this new report we list the 10 most frequent questions we get - and the answers we usually give. We hope it answers yours! 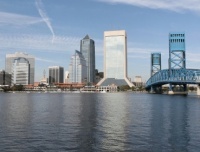 With its many contrasting sides Jacksonville makes for an intriguing choice as a retirement city. It is one of the largest and the fastest growing cities in the nation, yet it has many low key neighborhoods near the beach. There is a professional football team, but plenty of museums. There are young families and retirees - sometimes living side by side in exciting new developments. The New York Times has a regular Retirement Feature that never fails to deliver thought-provoking pieces about all aspects of retirement. Today&apos;s issue has articles like "What Do You Want to Be, Now That You Are Grown Up", "Auditing College Classes", "Pushing Back Retirement", and more. 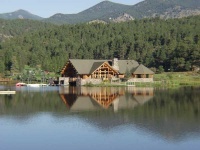 This affluent town about 15 miles west of Denver has an amazing list of amenities that make it a great place for retirement. It is surrounded by thousands of acres of land in two park systems, including Echo Mountain Park which offers skiing, snowboarding, and ice skating. Our Members Speak: 1 Story Living, Easy Walking, Etc.